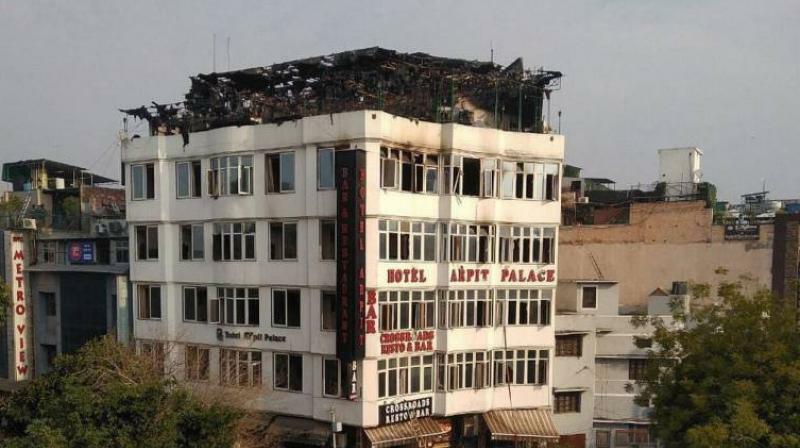 New Delhi, Feb 12: Prime Minister Narendra Modi has condoled the loss of lives in a massive fire incident in a central Delhi hotel early Tuesday. "Deeply saddened by the loss of lives due to a fire at Karol Bagh in Delhi. I convey my condolences to the families of those who lost their lives," he tweeted. He wished for speedy recovery of the injured. At least 17 people were killed in the fire at Arpit Palace Hotel on Gurudwara Road in Karol Bagh.